Tom was a rock. A sweet kid, loved by everyone, didn’t matter which group you belonged to or what colors you wore, Tom always had a smile for you, and a helping hand when you needed it. The day Tenny, Balthazar and Alice found his charred outline in his backyard was the day everything changed. 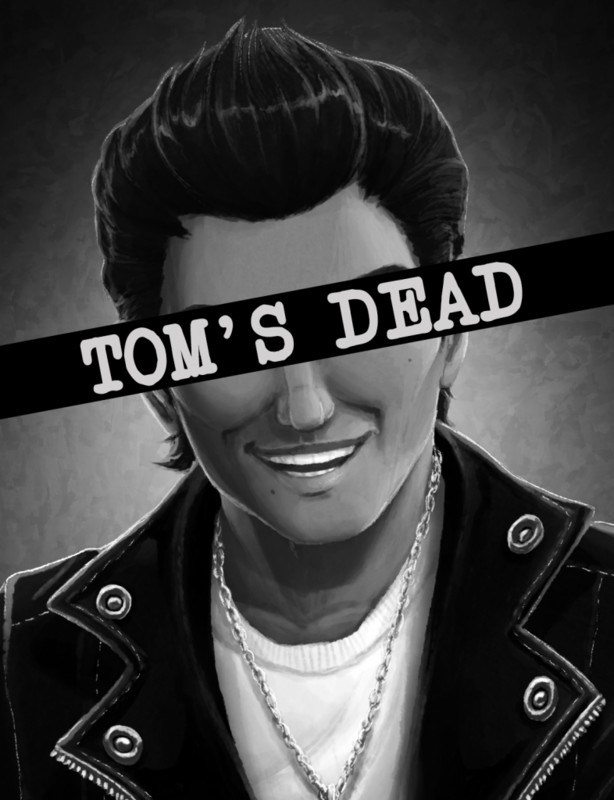 Tom’s Dead is an audio drama set in the world of Americana. Follow 5 teenagers as they investigate the brutal murder of their best friend in the fantastical world of Clearview, CA. With the big race looming, and prom the same night, will the gang find the killer and bring them to justice? Or will they slip through the teams fingers, and disappear forever?